Back cover blurb: When Mel hears from a long-lost friend in need of help, she doesn’t hesitate to invite her to stay. Mel and Abi were best friends back in the day, sharing the highs and lows of student life, until Mel’s unplanned pregnancy made her drop out of her studies. Now, seventeen years later, Mel and Abi’s lives couldn’t be more different. Mel is happily married, having raised her son on her own before meeting her husband, Ben. Now they share gorgeous girls and have a chaotic but happy family home, with three children. Abi, meanwhile, followed her lover to LA for a glamorous life of parties, celebrity and indulgence. Everything was perfect, until she discovered her partner had been cheating on her. Seventeen years wasted, and nothing to show for it. So what Abi needs now is a true friend to lean on, to share her grief over a glass of wine, and to have some time to heal. And what better place than Mel’s house, with her lovely kids, and supportive husband… This dark, unsettling tale of the reunion of long-lost friends is thoroughly gripping exploration of wanting what you can’t have, jealousy and revenge from Sunday Times bestseller Adele Parks. Mel and Abi were best friends in Uni, they were inseparable, but then Mel had to drop out to an unplanned pregnancy. They haven't seen each other for Seventeen years, and their lives couldn’t be more different. If Mel is completely honest, then she wasn't sure that she would ever hear from Abi again, as so much time has passed between them. So Mel is delighted to hear from her old friend out of the blue, and secretly even more delighted that Abi is asking for her help. Abi has always been the cool, modern, confident one. Mel, the likeable, dependable one and loves to help those around her. Mel is a genuine friend; the kind, warm, funny, generous friend, that we would all love to have. When Abi arrives on Mel's doorstep, it is if all the years between them have been erased. Particularly as Abi is now single, having discovered that her husband had been cheating on her. Naturally Mel wants to help her friend in her hour of need, and welcomes her into her family home. She is thrilled at the chance to catch up and relive her younger years by rekindling their friendship. Adele Parks has excelled herself with this novel. 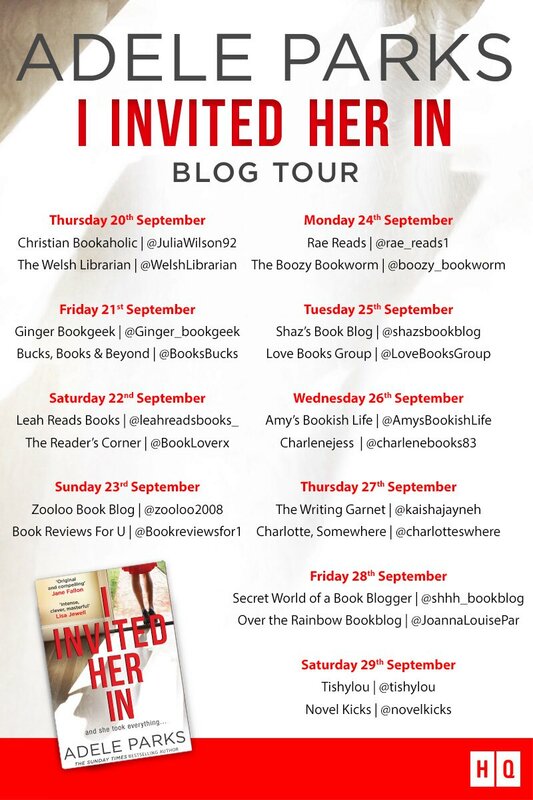 It’s a twisty, compelling tale of female friendship, betrayal, secrets and lies that will leave you wanting more. 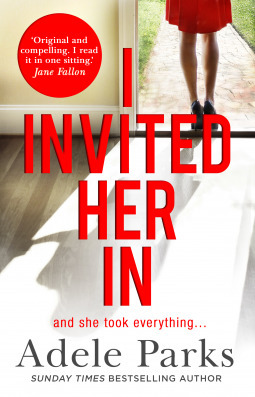 I Invited Her In is available now via Amazon online and all good book shops.